Hands up- This was a total impulse buy. I was in Boots, shoving everything into my basket, and this ended up in there too. I had no real need for it so I'm not entirely sure why I got it- I think it was the novelty of a green concealer. The corrector stick is packaged almost identically to a lipstick, in a little twist-up bullet made of white plastic with a lid that clicks on over the top. It doesn't feel particularly strong, so I'm a bit concerned that the plastic may snap if it's in a particularly bashed-about make up bag (which is how mine tend to be treated!). At least it's compact though, so it doesn't take up much room. I applied the concealer by dotting some product on my blemishes before foundation and then using a blending sponge to press it in before applying foundation over the top. On my skin, the green is very pale and ends up looking closer to white when applied. It blends into my skin well with a matte finish but without any dryness, just a natural appearance that's easy to apply make up on top. As I mentioned above, the green is a lot paler on skin than the bullet would have you imagine, and it does a good job of neutralising red blemishes. However, I did find that if used on spots, it has a tendency to cling to any dryness and emphasises scabs (yep, I pick my spots. Deal with it). It's much more effective on flat blemishes as it conceals the colour but has a natural appearance. To be honest, I'm still not entirely sure why I bought this, and I won't be repurchasing. At £1.99, though, it will be great if you have a lot of redness. 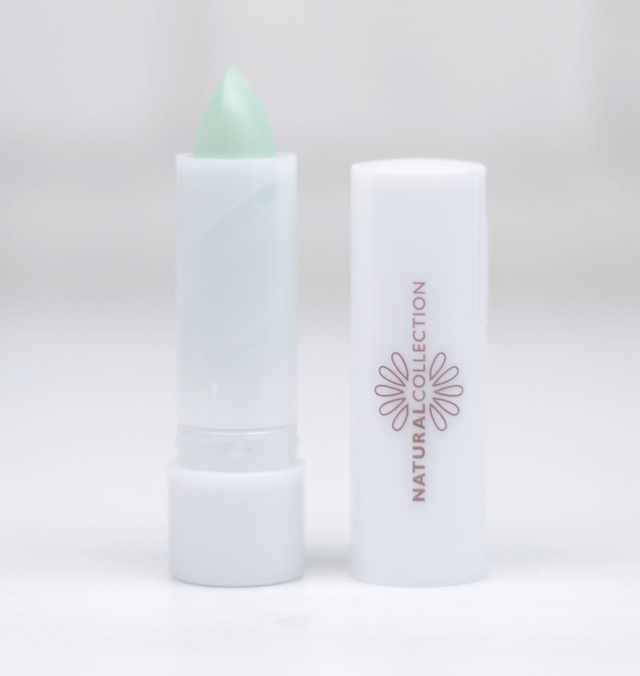 Buy Natural Collection Concealer Stick here. I used to cake my whole face with this as a teen haha Oh god how I'm glad I grew out of that phase. I have one of these, and I find it can sometimes make the blemish look TOO white even with foundation and powder on top of it. Then it ends up completely highlighting the fact that I've got a spot and tried to cover it. I think I used to use something similar to this like... all over my face when I was younger. I didn't even have any redness! I was just drawn in by the green like you pahaha.